Leftover Carnitas Naan Pizza -- With An Egg On It, Because Why Not? 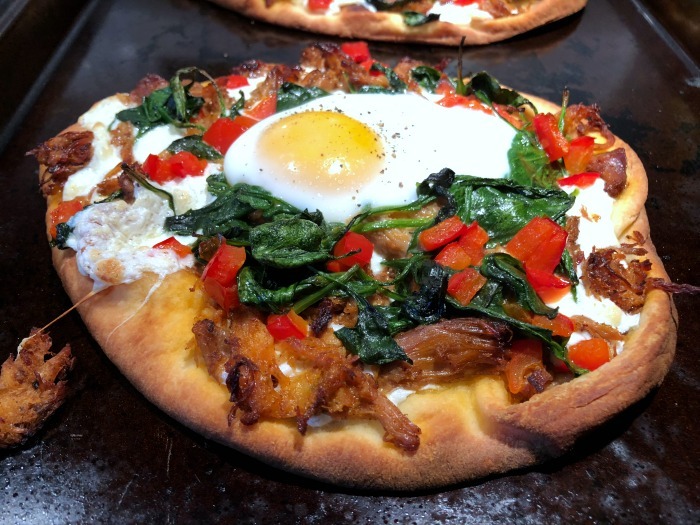 Leftover Carnitas Naan Pizza — With An Egg On It, Because Why Not? Leftover Carnitas Naan Pizza, anyone? 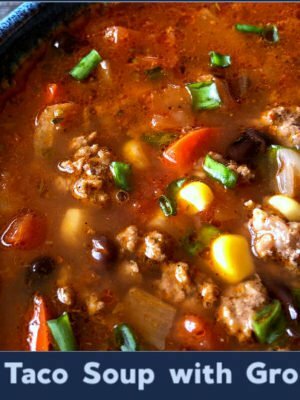 I did warn you that I’d be sharing a couple of the leftover carnitas recipes I scratched up with the big batch of slow cooker pork carnitas from the other day — so if you’re not in a pizza mood at the moment, you might want also to check out yesterday’s comforting carnitas stew. So, what’s the deal with carnitas pizza — and, what’s the deal with the egg? 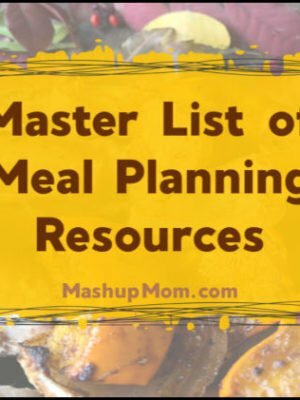 You start to see where I’m headed with all of this, right? 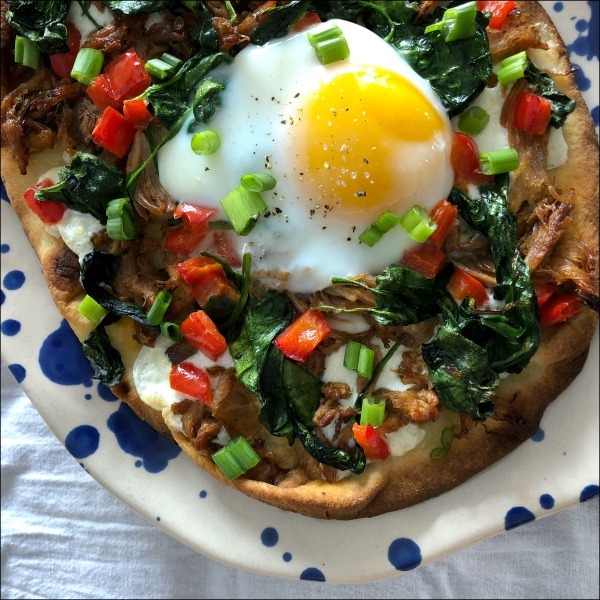 I also threw some sauteed spinach and sweet bell pepper onto these carnitas pizzas to punch things up a bit (and to add a dose of veggies and color to this protein-heavy dinner), and all of these tie together perfectly with the lovely drippy egg on top. Preheat oven to 450 degrees. Arrange the naan on two rimmed baking sheets, then brush each piece of naan lightly with olive oil (about 1 Tbsp total across the four pieces) and top evenly with mozzarella. Meanwhile, heat 1 Tbsp olive oil in a large skillet over medium heat until shimmering. Add the chopped bell pepper and saute for three minutes, then add the spinach and continue sauteing, stirring occasionally, until spinach is wilted and pepper is crisp tender (See Note). 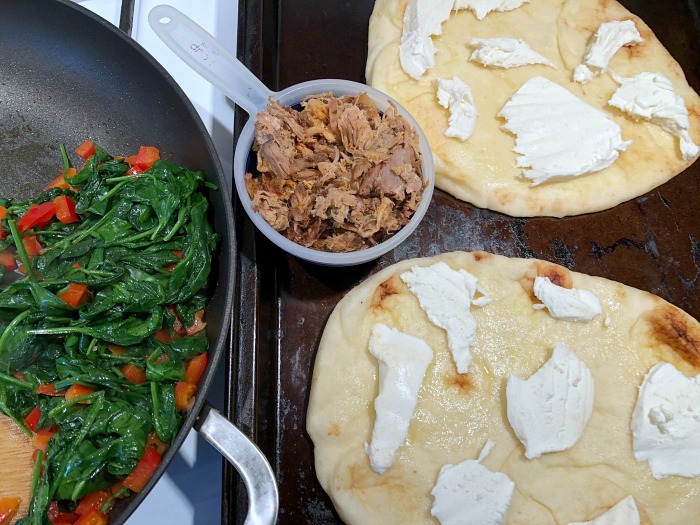 Top each piece of naan evenly with the spinach/pepper mixture and leftover seasoned carnitas meat. Gently crack an egg on top of each pizza, being careful not to break the yolk. 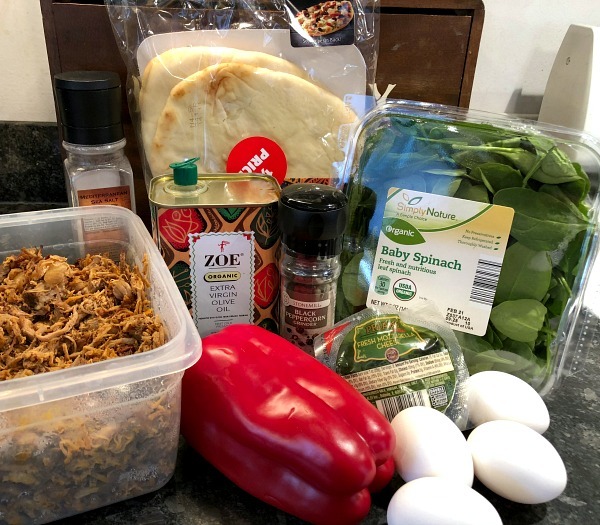 Bake the carnitas & egg naan pizzas at 450 degrees for 13-15 minutes, or until eggs are cooked through to your liking, rotating the pans between oven racks every few minutes. When the eggs are cooked through, remove the pans from the oven and season eggs with sea salt & black pepper, then let pizzas cool for several minutes before slicing. Note: Next time I might add a little garlic and crushed red pepper to the sauteed spinach & pepper — while the carnitas meat does lend a good flavor to the entire pizza, this would definitely help take the spinach portion up a notch. I also threw some diced avocado and green hot sauce on mine after cooking, but the kids, they chose not to. Jazz yours up to your own liking. 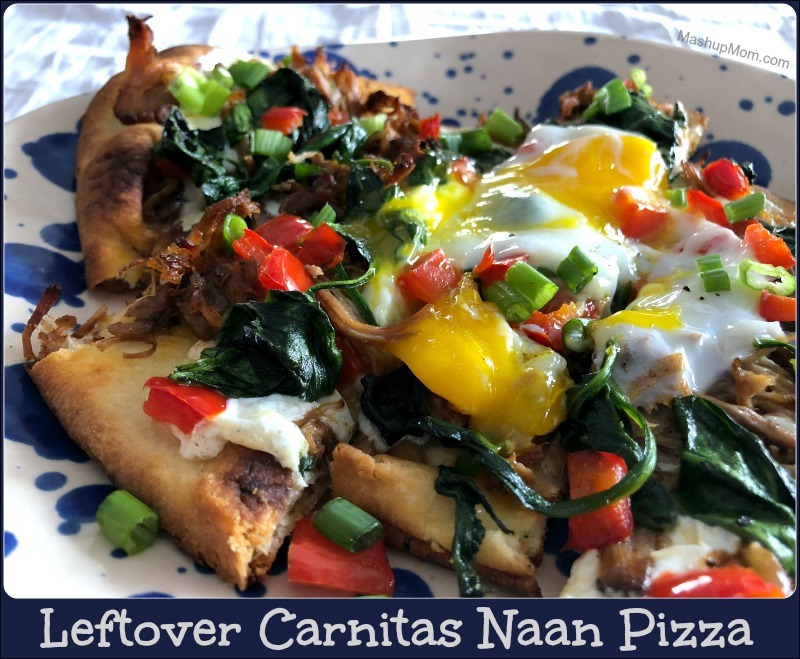 Leftover carnitas naan pizza is not only pretty to look at, it gives you a nice balance of textures and flavors: The chewy flavorful carnitas meat and naan play well together with the crisp-tender pepper and the softer spinach and egg. 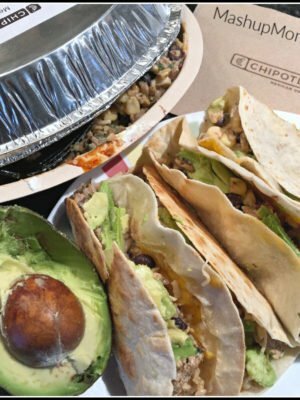 Think outside the typical naan pizza box, jazz your own up with add-ons like hot sauce, avocado, or sour cream if desired, and enjoy! 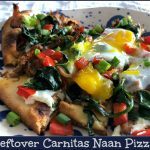 Sure, you could also eat this leftover carnitas naan pizza as a hearty breakfast pizza with the egg on top and all -- but then again, I'm generally of the opinion that pizza is nature's perfect breakfast food, so who am I to judge? Next time I might add a little garlic and crushed red pepper to the sauteed spinach & pepper -- while the carnitas meat does lend a good flavor to the entire pizza, this would definitely help take the spinach portion up a notch. I also threw some diced avocado and green hot sauce on mine after cooking, but the kids, they chose not to. Jazz yours up to your own liking. Family was skeptical. Then they took bites. I have already been requested to ‘make this again SOON’. 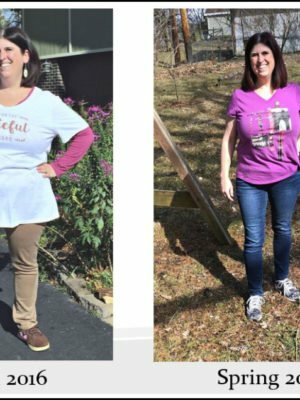 Thanks, Rachel, for another winner! I wasn’t sure about this with the egg on it. I wondered how this would work?? I will tell you—- AMAZING!!! I loved it and it will be a repeat performance! Egg on pizza is one of those things you just have to try once, and you are hooked! My family thinks I’m nuts for eating leftover meatballs and marinara with a fried dippy egg and toast for breakfast ?. 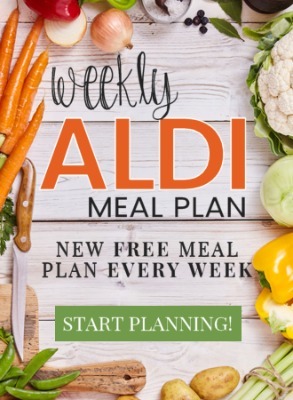 Will definitely try this.